While many self storage operators offer open parking spaces for Boat and RV storage, data shows that providing canopies to shelter vehicles from the elements will enable you to charge twice as much rent for the same amount of space - simply because it’s covered. If you want to maximize the income potential for the same amount of land even further, completely enclosed Boat & RV storage units can command almost double the rent of that charged for canopy parking. Adding canopies for Boat & RV storage makes sense for many self-storage owners because they can draw clients from a larger geographic market than that of a typical self-storage facility, which is often defined as a 5-mile radius around the property. Self Storage facilities located near bodies of water and recreation areas are a natural selection for Boat/RV storage tenants who don’t want to haul their recreational vehicles over long distances. 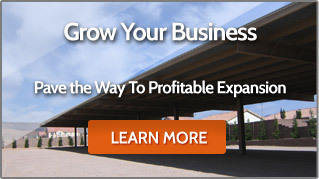 Another advantage Boat & RV storage businesses enjoy is a longer average tenant stay. While traditional self-storage customers stay just under a year, the average rental for a Boat/RV storage space averages two years. 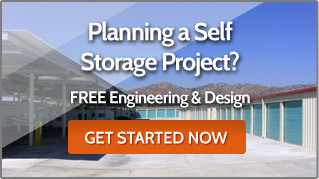 traditional storage, the Boat and RV storage customer will be concerned with access and security. These tenants are also attracted to amenities such as wash bays, a retail store stocked with Boat/RV specific items, electrical outlets, a dump station or a cleaning service. A recent trend for Boat and RV Storage is the addition of solar panels. Operators building Boat and RV canopies are harnessing the power of the sun to attract customers and increase profits by installing solar panels on their canopies. These eco-friendly structures can be a lucrative alternative to uncovered vehicle storage or traditional canopy Boat and RV Storage. MAKO STEEL offers complete solutions for Boat and RV Canopy Structures. Mako Steel designs, supplies and installs all canopy components. Contact us for a free estimate.